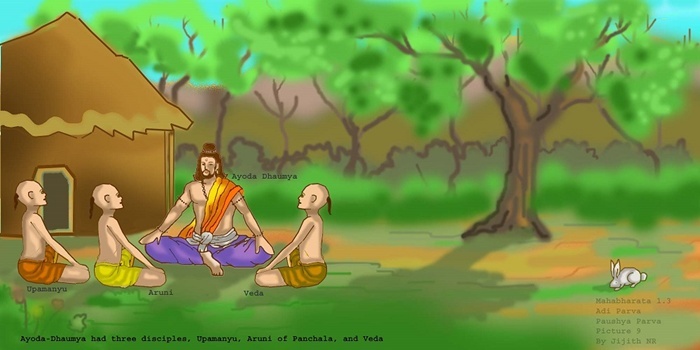 Ayoda-dhaumya had three disciples, Upamanyu, Aruni and Veda. The revered spiritual master used to often treat his disciples quite harshly. When Veda had his own disciples, he did not want to do the same with them and he behaved like a loving teacher. This was like a curse, obliging all Gurus and disciples to ask and to give daksina in the suitable moments, like initiation, end of the period in Gurukula and so on. This much longer story is found in the Maha-bharata, Adi Parva, Pausya Parva.